Interstate 185 leads north from the Williams Road overpass at Exit 12. 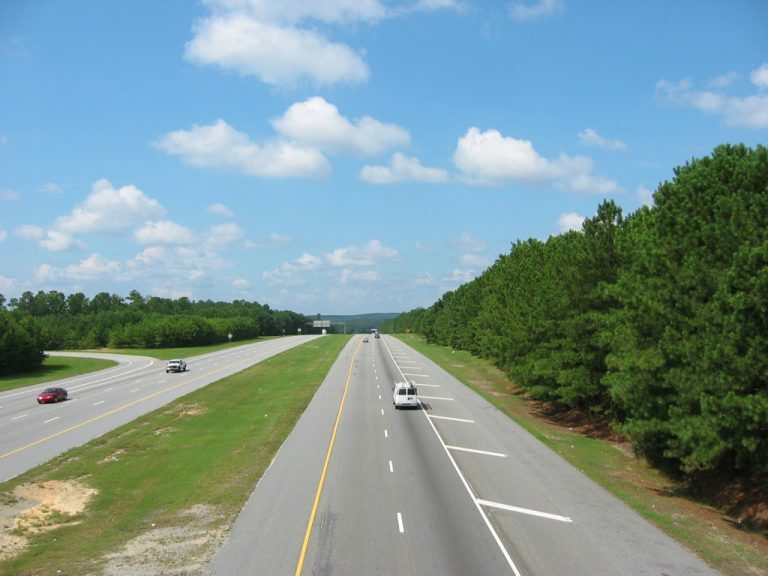 The northern 38 miles of the freeway from Columbus to LaGrange is a Georgia Scenic Byway. Photo taken 08/22/03. Traveling south from Interstate 85 in Troup County, Interstate 185 follows a rural route through Harris County to northern reaches of Columbus. 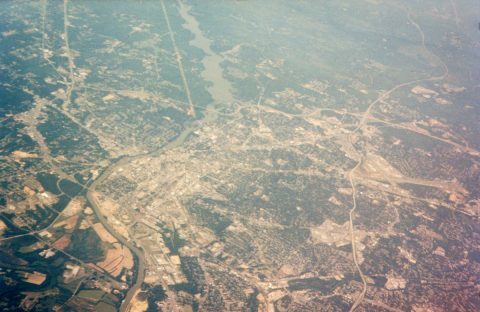 South of Williams Road, I-185 constitutes a six-lane urban freeway through Columbus to U.S. 27-280 & SR 520 (Victory Drive), and Lindsey Creek Parkway south into Fort Benning. The city of Columbus and Muscogee Counties consolidated in 1971. Including Phenix City, Alabama, the metropolitan area boasted 296,506 residents per the 2010 U.S. Census. Upper Big Springs Road extends east from Colquitt Street in LaGrange to meet Interstate 185. Photo taken 10/04/01. Entering the diamond interchange (Exit 46) with Interstate 185 on Upper Big Springs Road east. Photo taken 10/04/01. Interstate 185 travels 3.7 miles north from the Upper Big Springs Road overpass to merge with I-85 north ahead of Hogansville. Photo taken 10/04/01. "Would Four Lanes Drive Away Rural Lifestyle?, Supporters of Widening Georgia 85 Say it would Promote Safety, Business, but some along Road are Skeptical." Columbus Ledger-Enquirer (GA), September 18, 1994.